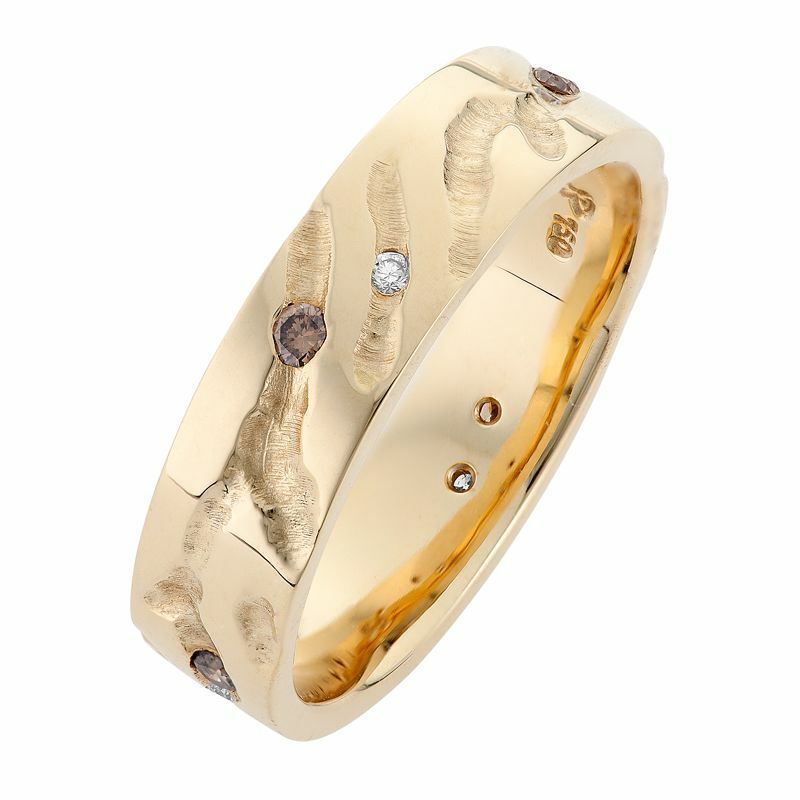 Featuring interwoven bands of polished gold, white diamonds and Kimberley champagne diamonds this design will forever catch your eye. Blackened gold further enhances the rich ochre colours in these champagne diamonds, creating a vivid contrast against the brilliant white diamonds. This ring sits flat agains the hand for a practical everyday finish with a wow factor worth having. Why not try it on today? Free 21 day no-hassel shipping available now!